As we approach the two-year anniversary of Prince’s untimely passing next Saturday, April 21, hundreds of people from around the world will make the pilgrimage to Minneapolis to honor him in his hometown. The week will culminate in the big Prince from Minneapolis symposium at the University of Minnesota on April 16-18 and the now-annual Celebration at Paisley Park on April 19-22, and include countless other dance parties, pop-up parties, book events, and special guest appearances. Which got us thinking about what we can do here at the Current to contribute to the celebration of Prince’s life and musical legacy. 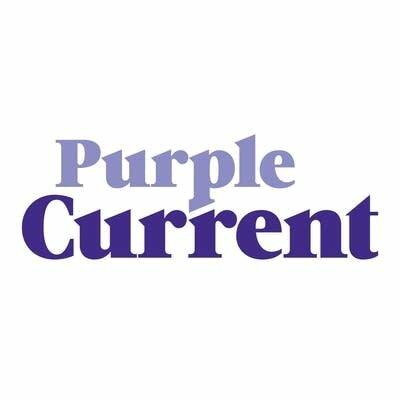 Earlier this month we launched our new Purple Current stream, a 24/7 playlist of music that draws from Prince’s musical universe. And as we approach April 21 we’ll dive deep into an exploration of Prince’s unique sound, examining his influences and expanding on the unique way he approached the many instruments that he incorporated into his music. Often people will ask me, “So what is the Minneapolis Sound?” And that answer can be surprisingly complex. Maybe it’s as simple as the synthesized horn parts and electronic drum fills that Prince embraced when he was beginning his career, or maybe it was his fierce resistance to being categorized by any single genre or style. Regardless of how you define it, however, another question looms overhead: How did one single artist manage to weave a tapestry of sound so complex that it could take years of academic conferences, books, newly unearthed recordings, and uncovered history to truly understand it? Join us here on the Local Current Blog throughout the next week and on the airwaves this Sunday night, April 15, on The Local Show (6-8 p.m. CST) as we attempt to deconstruct Prince’s wide-ranging and highly influential sound. You’ll hear from collaborators who got a chance to work closely with Prince, like his longtime engineer Susan Rogers, keyboardist Matt “Dr.” Fink, bassist BrownMark, drummer Michael Bland, and Hornheads leader Micheal B. Nelson. And you’ll hear music from throughout Prince’s four-decade-long recording career, from his 1978 debut For You all the way up to the albums he released in 2015, HITnRUN Phase 1 and 2. We will compile all of our research below, in addition to many interviews and articles that have already been written on this topic. And please enjoy this new graphic that was created in collaboration with the Minneapolis illustrator Kaitlyn Bryan, who has a knack for taking my scribbled-out notes and turning them into something beautiful. We hope you’ll enjoy nerding out on this stuff as much as we do. Theft of the Dial: The Revolution. Join Wendy Melvoin, Lisa Coleman, Bobby Z., BrownMark, and Dr. Fink for an hour of curated Prince tunes and an interview with host Andrea Swensson. Theft of the Dial: Donna Grantis. Prince’s 3RDEYEGIRL guitarist Donna Grantis hand-picks some of Prince’s best guitar jams and chats with program director Jim McGuinn. Roger Linn, inventor of the LM-1 drum machine, talks Prince and “When Doves Cry” with writer Cecilia Johnson. Michael Bland shares his incredible stories of working with Prince, Soul Asylum, Westerberg and more in an interview with Andrea Swensson. Talking Prince and drums with the NPG’s Michael Bland and contributor Michaelangelo Matos. Susan Rogers on working with Prince in the studio: ‘The man I knew was so human’. Prince’s longtime engineer explains techniques and innovations he used to record quickly. BrownMark explains how he and Prince reinvented bass in the ’80s. “We like to put things in boxes”: Kimbra on Prince’s spirit, vocals, and constant evolution. The inimitable Kimbra tells writer Cecilia Johnson why Prince is the artist who has impacted her the most. Uhhh… you should take ‘The Suburbs’ offa this. Prince wasn’t influenced by them.